Grandparents think this is one of the cutest personalized Christmas ornaments they’ve ever seen! 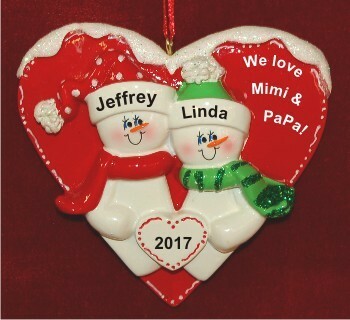 The 2 grandkids heart of love for grandparents personalized ornament features a pair of snow kids festively attired for the season and holding a loving heart. As a personalized grandparent(s) ornament, it includes the custom details you share. All lettering is done by hand in a font more attractive than shown to create a personalized grandparent gift that is one of a kind. 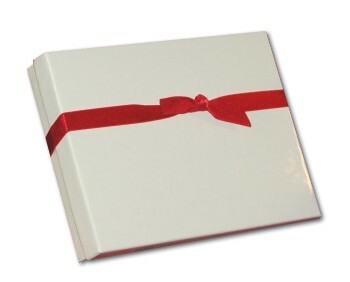 Share a longer message for lettering on the reverse side, if you wish. A display cord and our classic velvet gift pouch is included with the 2 kids grandparents ornament personalized to be perfect.